Perchlorate is a man-made and naturally occurring chemical that disrupts thyroid functions critical to brain development. Perchlorate is a rocket-fuel component and fertilizer contaminant that easily leaches from soil surfaces to groundwater. Once in our ground water, it can pollute our drinking and irrigation water, contaminating both the food and water we consume. While more than 90 percent of perchlorate consumed enters the bloodstream, passes into the kidneys and then is eliminated through urine, the 10 percent of perchlorate that stays behind can cause serious health problems, specifically with the thyroid gland. Perchlorate has been shown to partially inhibit the thyroid's uptake of iodine, a building block for the synthesis of thyroid hormone, which can cause hypothyroidism. Hypothyroidism—where the body doesn’t produce enough thyroid hormone—can disrupt the body’s regulation of heart rate, temperature and metabolism. In children, perchlorate has an even greater effect because from childbirth to maturity at 18 years, thyroid hormones are critical for normal development and growth. In 2002, the EPA issued a revised “safe” dose of perchlorate to 4 parts per billion down from 32 ppb based on animal studies showing negative effects at very low levels of exposure. Following this decision, California and other states matched this level or created regulations to make the allowable dose even lower. 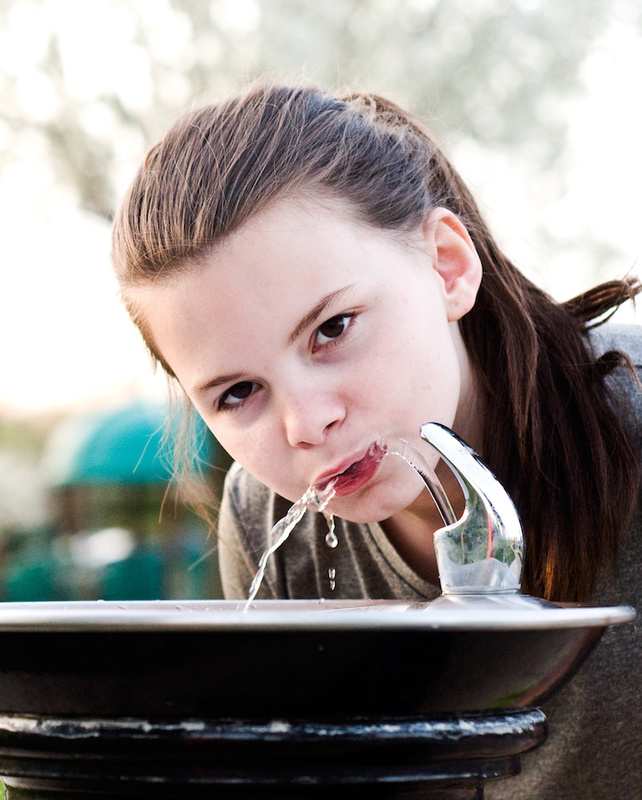 Arsenic is another hazardous chemical found in our water. It is a naturally occurring element found in soil and enters the air and water supply either by wind-blown dust or run-off. Through those methods of transport, arsenic contaminates food, water and soil, creating multiple points of exposure. It has been used as a pesticide and is released from mines and industrial sites. The two most common and most toxic forms of arsenic are trivalent (AS+3) and pentavalent (AS+5). Generally AS+3 is considered to be 60 times more toxic than AS+5, and it is virtually impossible to remove unless it is oxidized to AS+5 first. AS+5, on the other hand, is easy to remove with proper technology. Some of the significant health effects of arsenic are IQ loss and cancer, although the common effects of arsenic exposure often are observed first in the skin of those exposed. Skin pigmentation changes and skin lesions, which are common precursors for skin cancer, are some of the early symptoms. Long-term exposure also may cause bladder cancer, lung cancer, developmental issues, neurotoxicity, diabetes and cardiovascular disease. The symptoms from acute exposure to arsenic include vomiting, abdominal pain and diarrhea; sometimes there is tingling in the extremities or muscle cramping. Severe exposure can result in death. Children’s vulnerabilities to chemicals are much greater than adults, and this is consistent when it comes to arsenic exposure. Studies have found that when children consume contaminated water with arsenic at or above 5 parts per billion, they have an average loss of 5-6 IQ points. Considering the legal limit of arsenic in public water supply is 10 parts per billion, this is a huge concern. Pregnant women are another group that is extremely vulnerable to arsenic. This is because exposure to arsenic during pregnancy has been associated with low birth weight and miscarriages. There is also the fear that exposure during pregnancy could be impact the child’s development later in life. Federal laws removed lead from interior house paint in 1978, and from gasoline in 1995; yet lead remains a huge health threat. Exposure to lead can come from a variety of sources, such as paint chips from homes built before 1978, toys, dishes, jewelry, occupational exposure and old pipes that leach lead into the water supply. According to the Center for Disease Control and Prevention, blood lead levels should not exceed 10 micrograms/deciliter and some agencies recommend a limit of 5 micrograms/deciliter. But in reality there is no safe level of lead and the effects cannot be reversed. Even low blood lead levels can affect the developing brain and central nervous system, leading to slow growth, low IQ, aggressive behavior and increased attention deficits. At higher levels of exposure, lead attacks the central nervous system causing comas, convulsions and even death. Lead exposure also has been linked to cancer. Lead can impact everyone, but is extremely dangerous for children because they are more susceptible than adults to develop neurotoxicity from their exposure. This is because children absorb up to 50 percent of the lead they ingest compared to the 8 percent adults absorb. Lead exposure is especially harmful during pregnancy and infancy. The lead passes from the mother to the baby, and the chemical can lead to miscarriages, babies being born too early or too small, and/or babies being born with learning or behavioral problems.